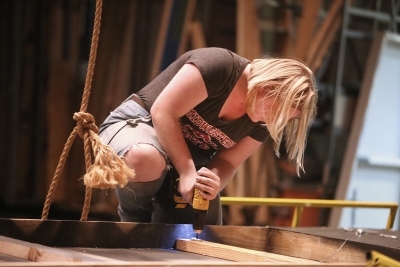 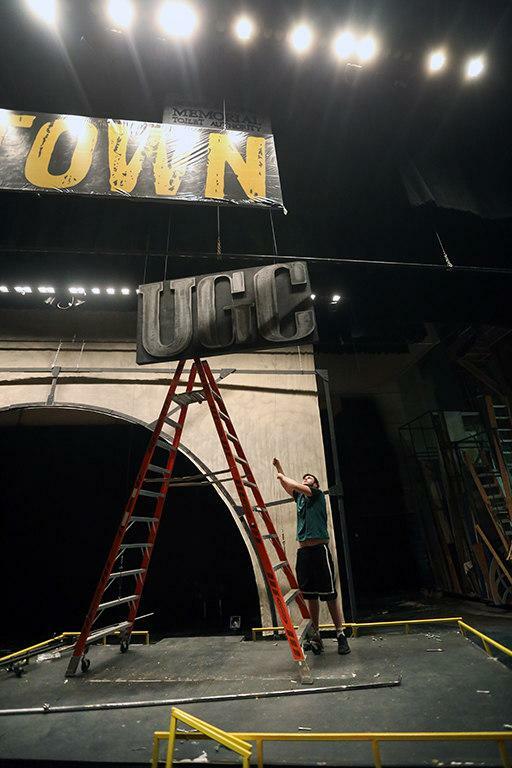 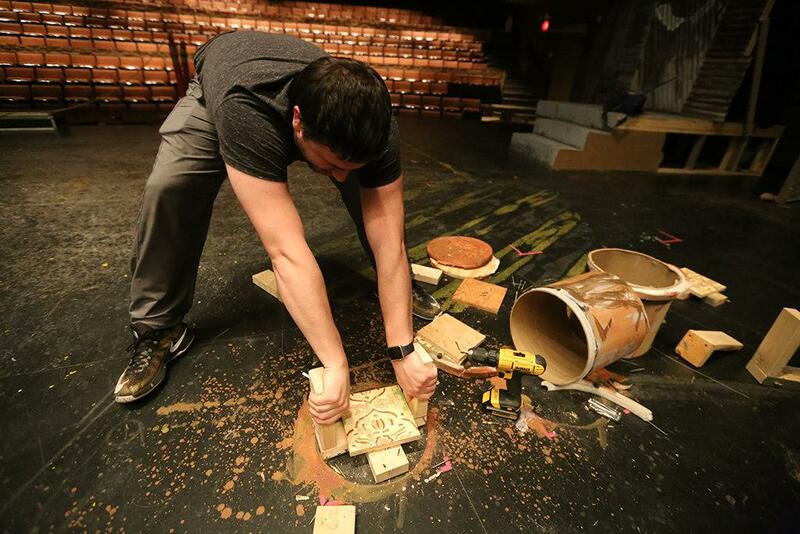 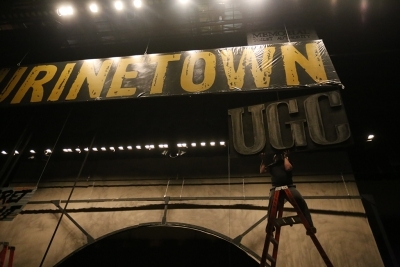 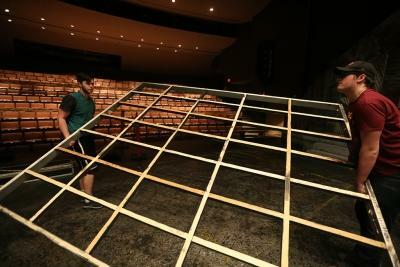 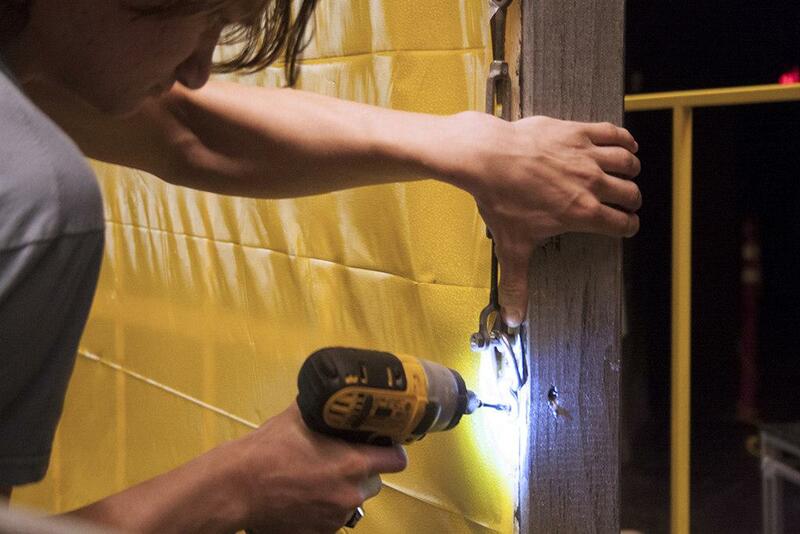 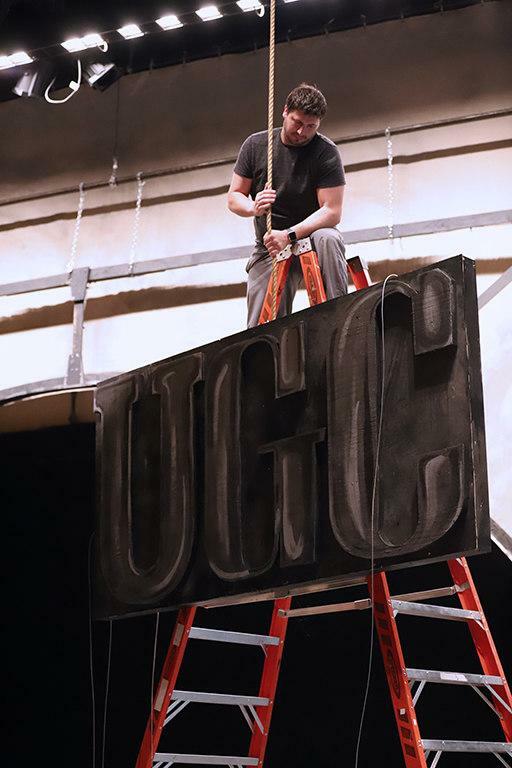 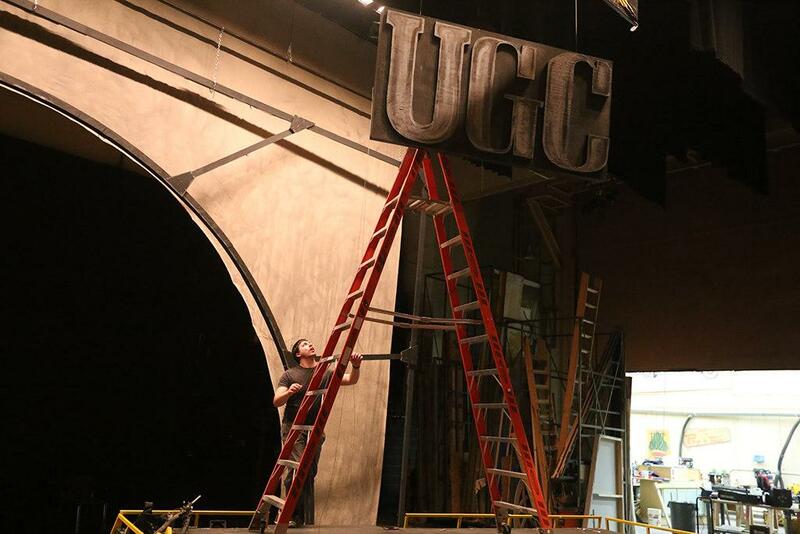 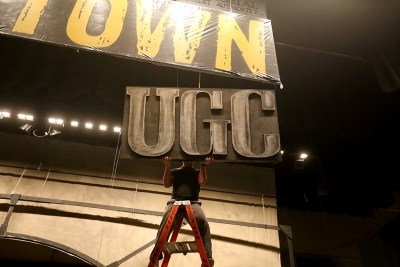 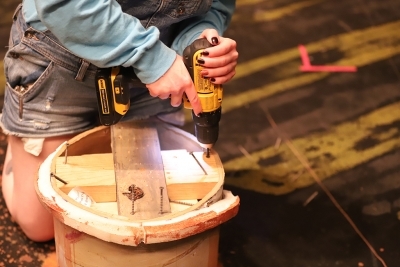 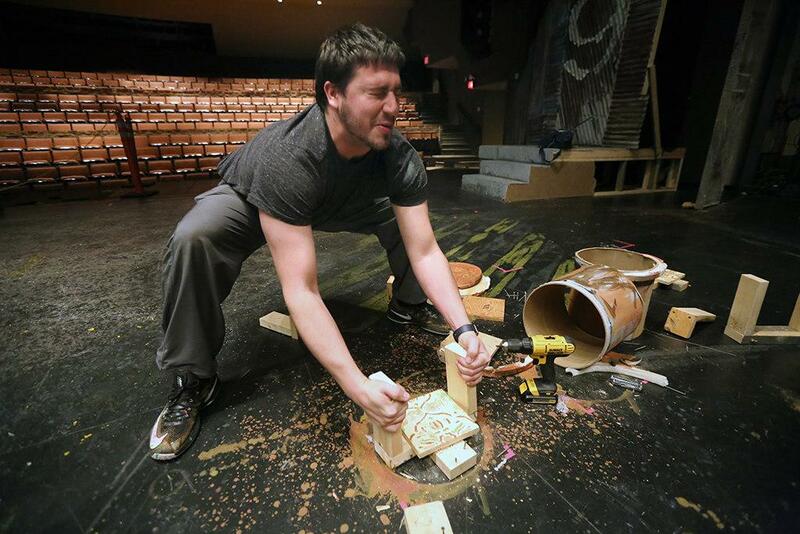 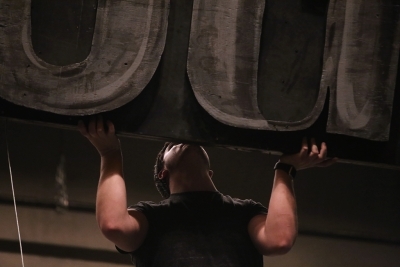 While the final curtain closed on “Urinetown” on March 2, the work just began for the crew to tear down each set piece crafted for the two week run. 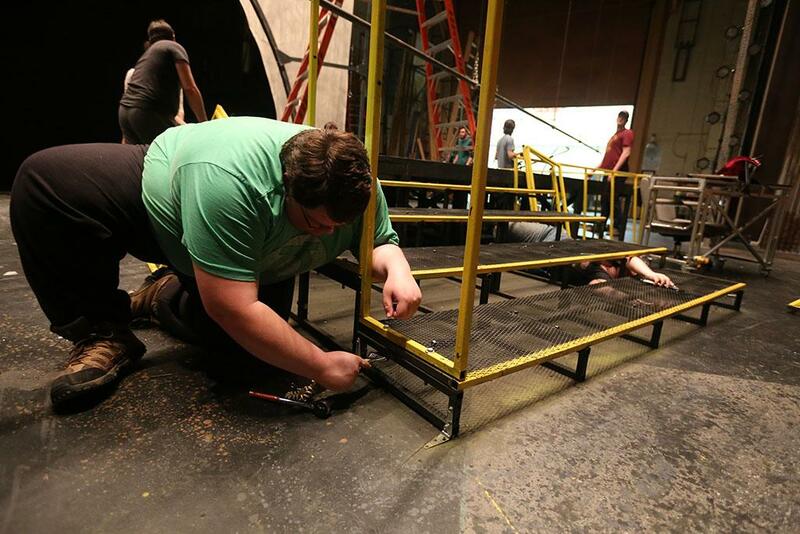 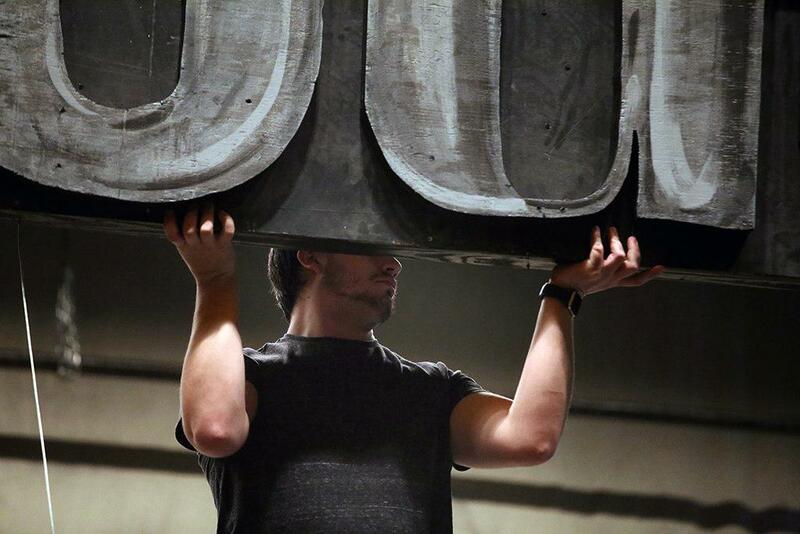 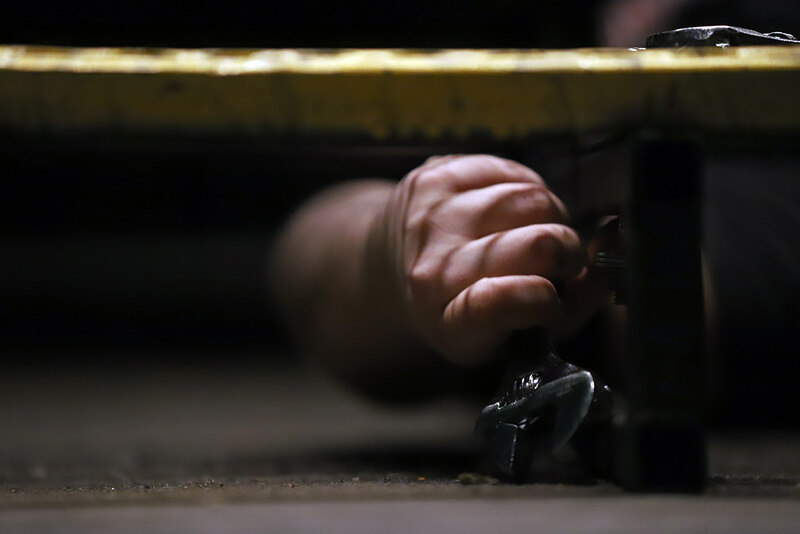 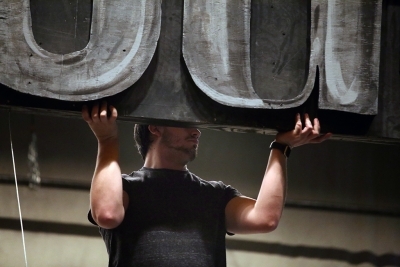 Weeks worth of work will only take 20 hours to completely dissemble, and to ensure safety and efficiency, the production crew began tearing down the set March 5. 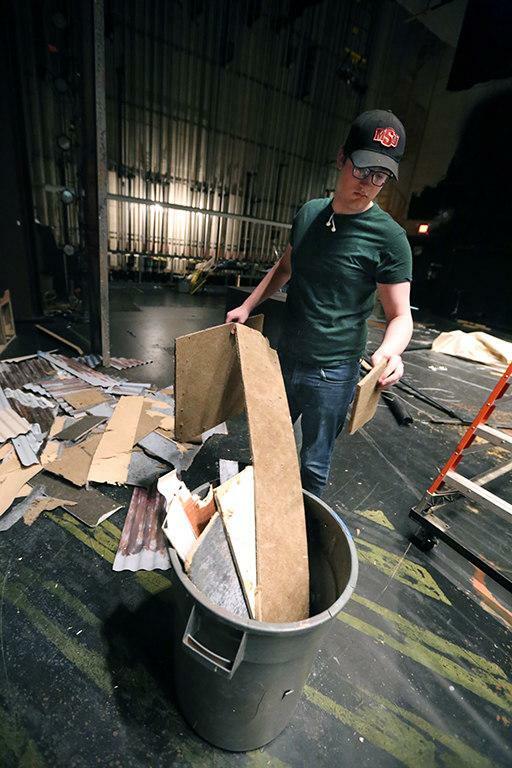 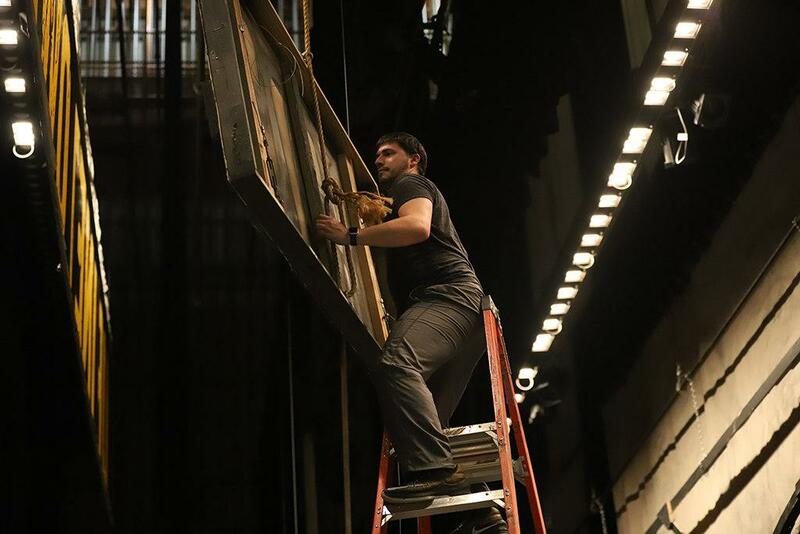 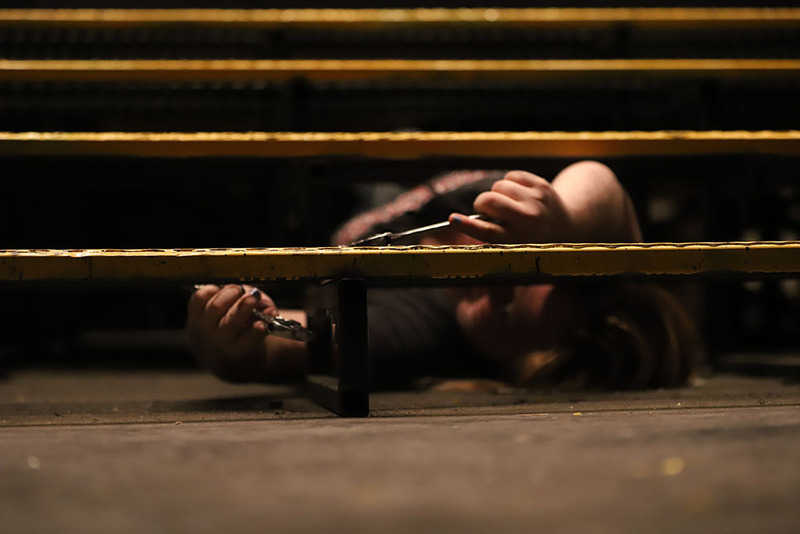 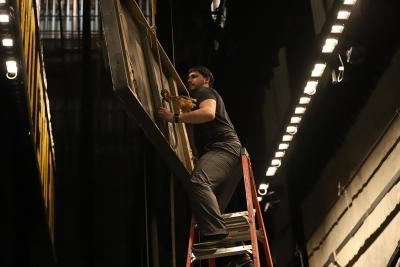 Eric Koger, an associate professor of theater, said there is a process to striking the set that first ensures safety and then ensures that the crew can reuse as much material as possible in upcoming shows. 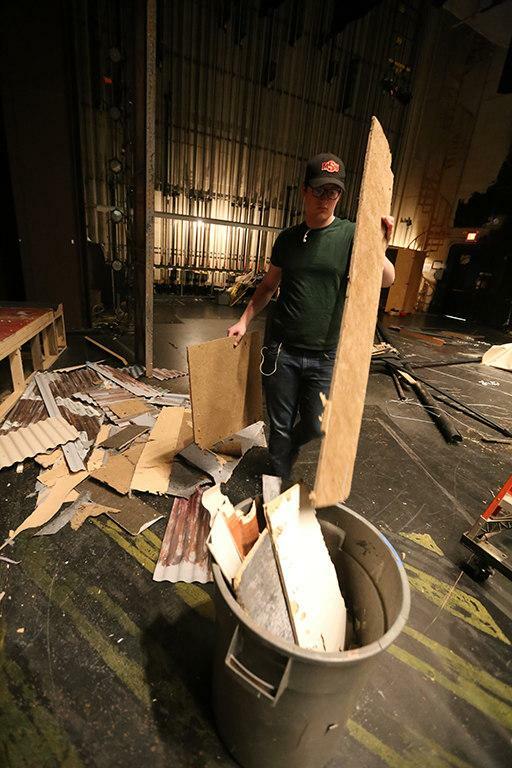 The first day of strike, the crew took down most the metal pieces of the set, and day two focused on taking apart walls, public amenity door and removed homasote. 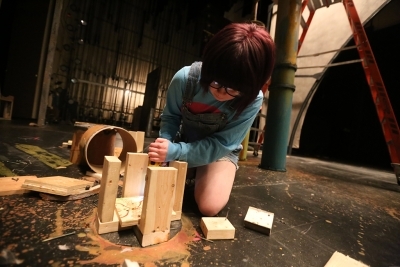 The set that took weeks upon weeks to construct is completely torn to shreds within 20 man hours, and according to Burns, tearing apart the pieces she built here her favorite, including the concrete floor set. 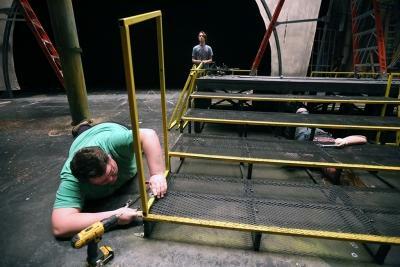 According to Koger, the set was designed to go up and come down easily, but with so many people hanging around, it’s hard to delegate jobs out. Ben Ashton, technical director and a senior in theater, said striking the set after the last show had too many potential risks. 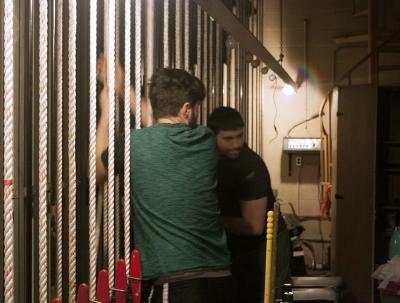 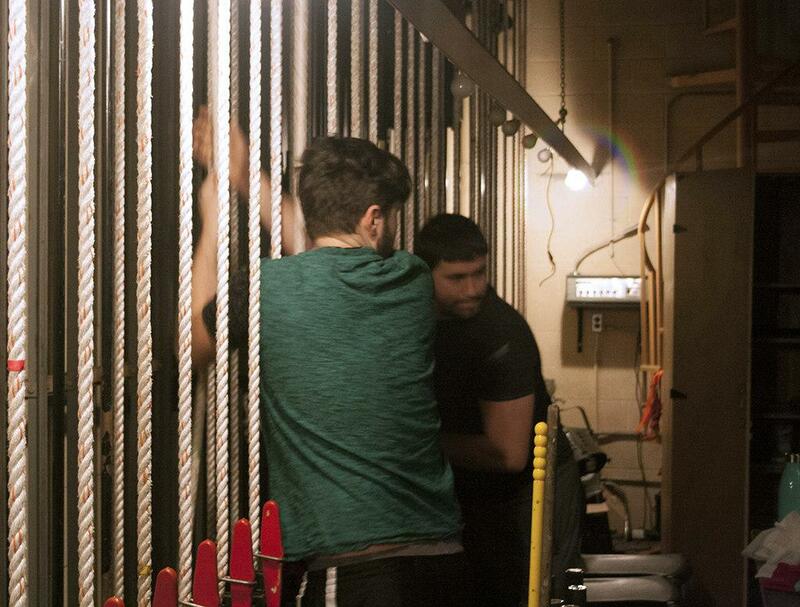 “Staying late to knock all this out in four hours after the last matinee is really nice, but since we moved to the two shows per weekend system, it’s really hard to tear down a show on a Saturday night at 10 o’clock at night. When that would put us until 2 o’clock and maybe we get done. 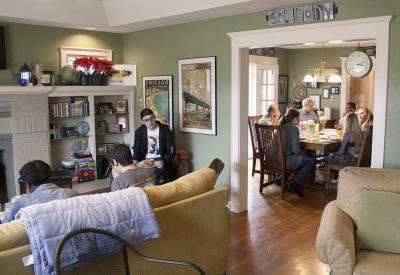 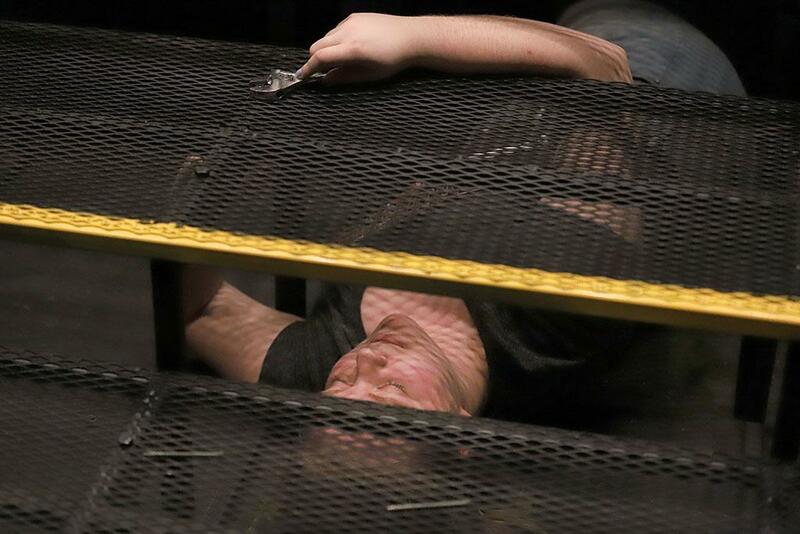 With this show, if we were to do that we’d be done by about 3 o’clock in the morning,” Ashton said. 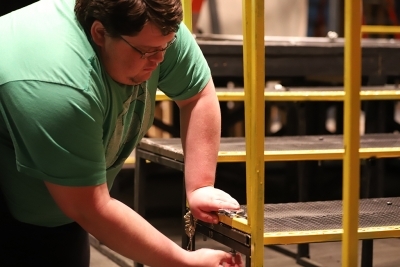 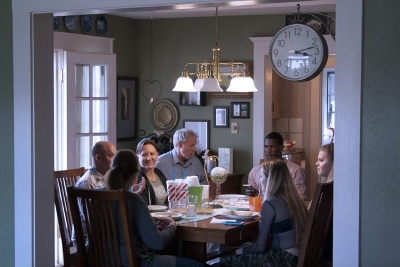 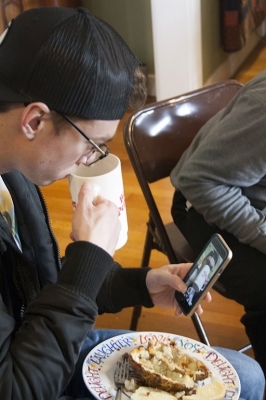 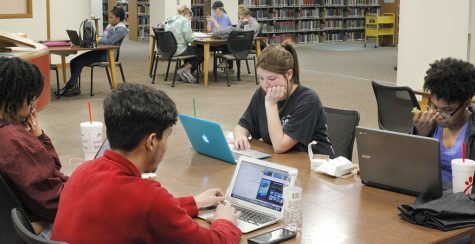 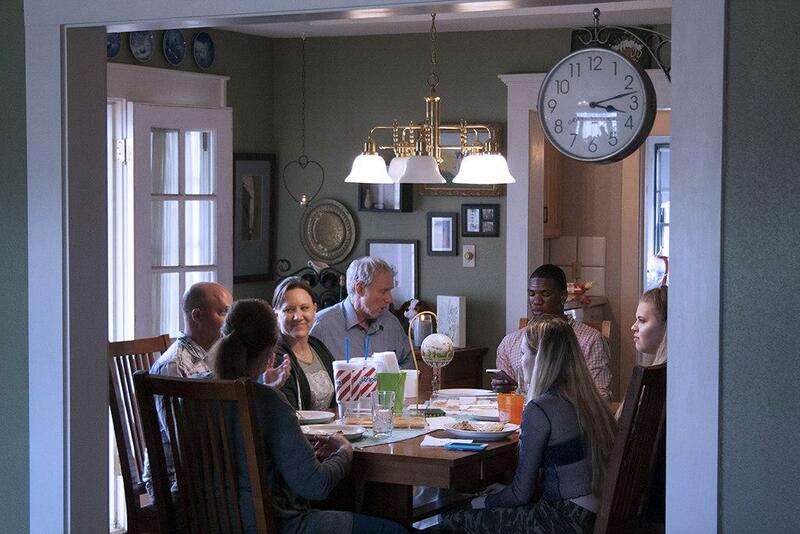 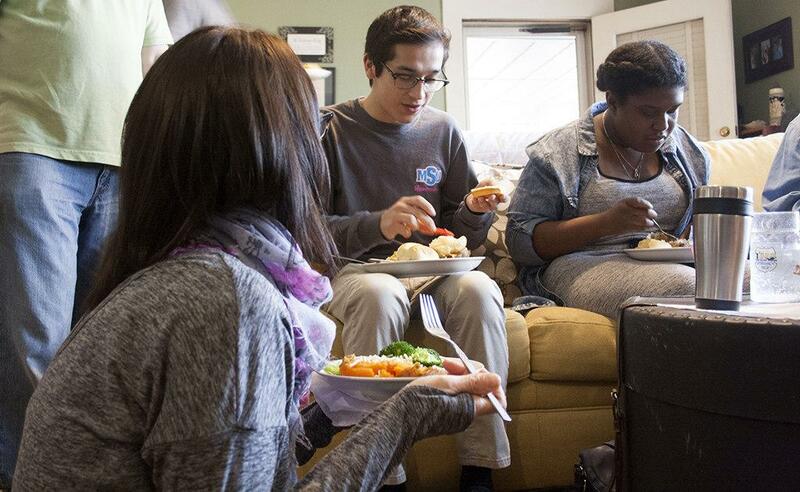 Along with safety, cast and crew members left for a conference on March 6, which gave more reason to stretch out the workload instead of pushing to get it done all at once. 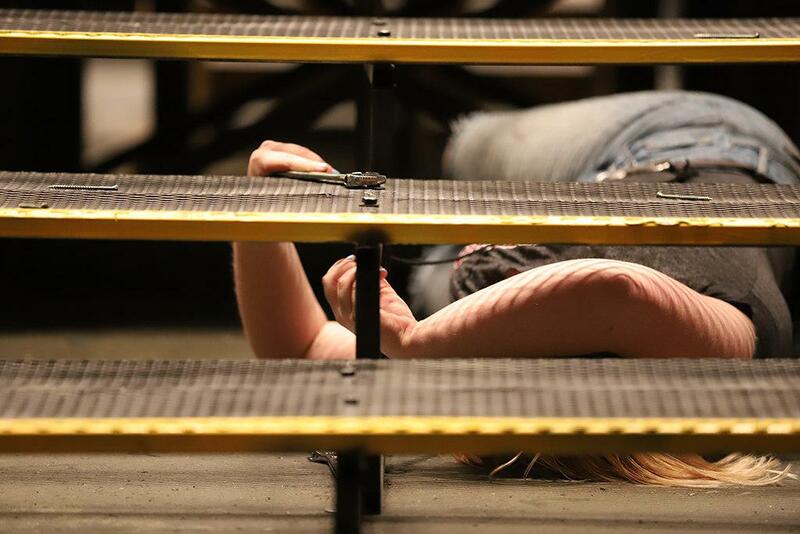 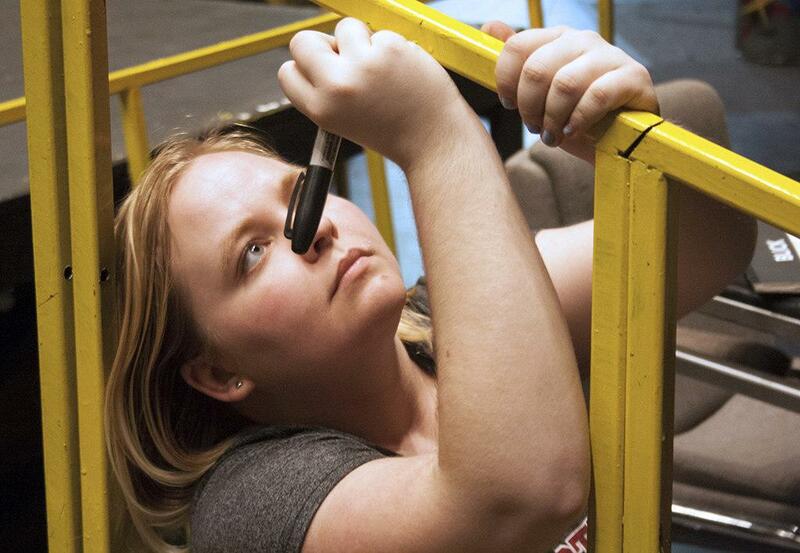 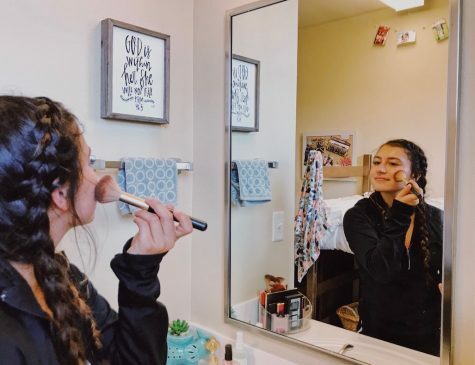 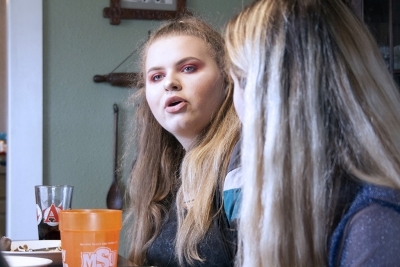 And Koger said as soon as the basic components of the “Urinetown” are dismantled, they have to get ready for the next show, the Festival of Student-Produced One-Act Plays that opens April 19. “We will be moving toward resetting the basic things like the black legs, the masking, all the draperies that usually sit on stage, and maybe even turning the stage floor black,” Koger said. Ashton said he expects strike to be uneventful. 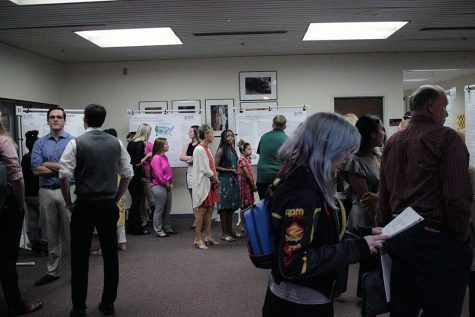 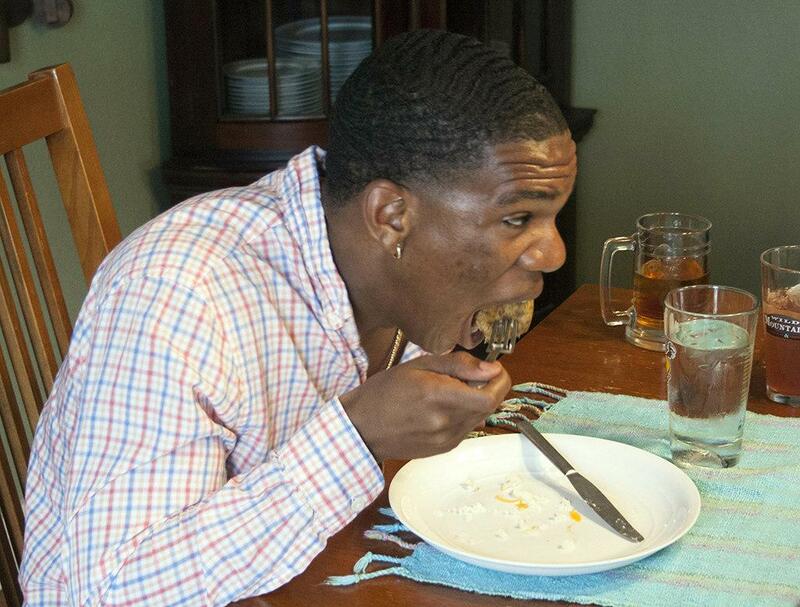 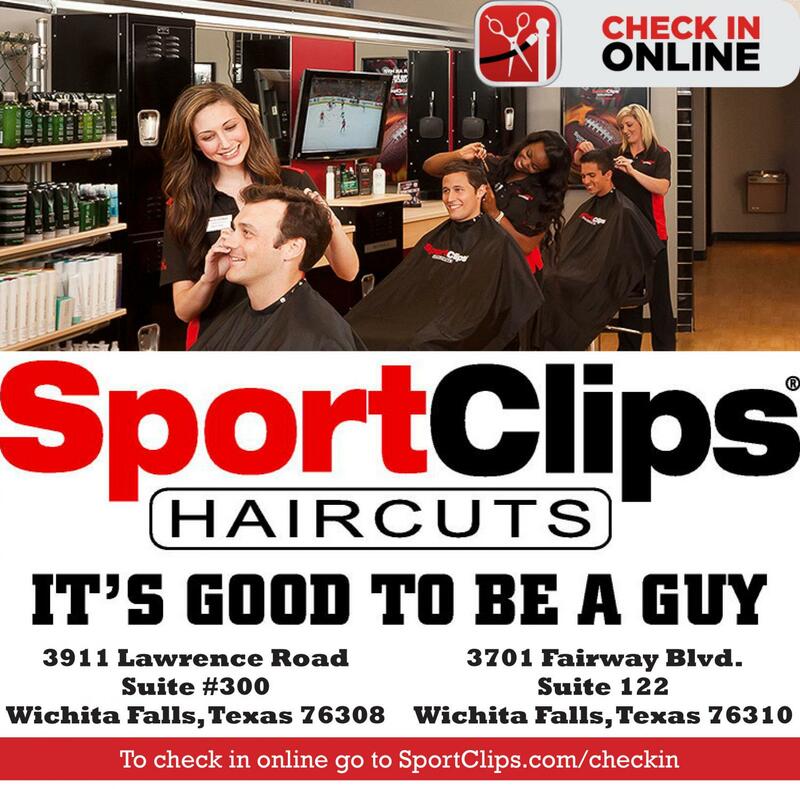 Additional reporting by Cortney Wood and Craig Tidmore.